(Reston, Va.), January 14, 2018 – QTC Medical Services, Inc., a Leidos company (NYSE: LDOS), was awarded four prime contracts by the U.S. Department of Veterans Affairs (VA) to continue to provide medical disability examinations for the Veterans Benefits Administration (VBA). The multiple award, fixed-unit-price, indefinite delivery/indefinite quantity contracts have a one-year base period of performance and nine option years with a total estimated ceiling value of approximately $7 billion, if all options are exercised. These awards are in addition to the previous award of VBAs only nation-wide contract supporting disability for separating and retiring Department of Defense Servicemembers. The series of contract awards is part of a VA initiative to improve disability examination experiences for Veterans through an efficient and streamlined process. 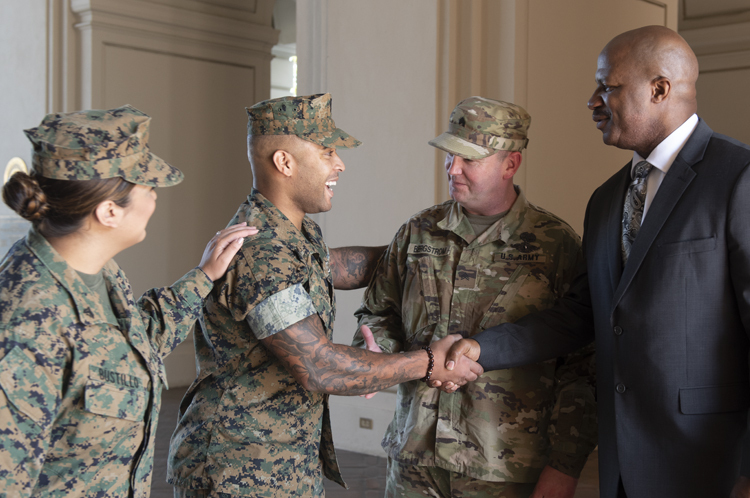 The new program management and delivery process will also continue to ensure broad national and international coverage of medical examination requirements to meet Veterans’ needs worldwide. QTC will apply its 38 years of expertise in providing high-quality, technology-driven exam solutions to continue to provide the VBA with medical disability examination services under the new contracts. QTC uses its customized, systematic operational workflow to manage operations and help VA achieve efficiency and accuracy goals.